Each Ride is Easy. It’s Deciding Which One That’s Hard! Facts, finds and fun–you get it all no matter which tour you choose. 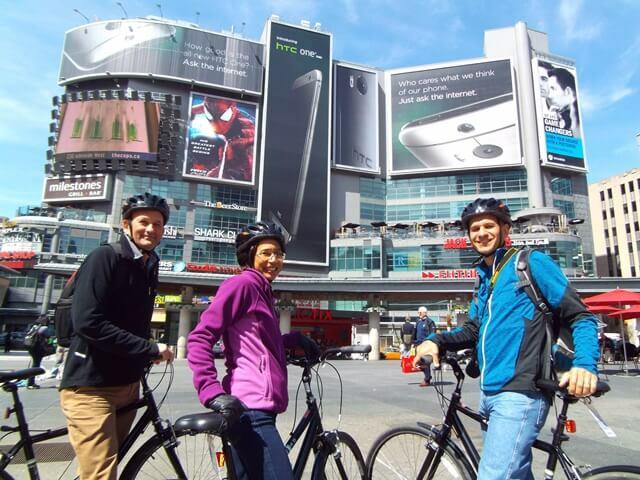 Led by a local expert guide, Toronto Bicycle Tours are informative, super safe and paced for any riding level. Tours include a bicycle, helmet, water and snacks. 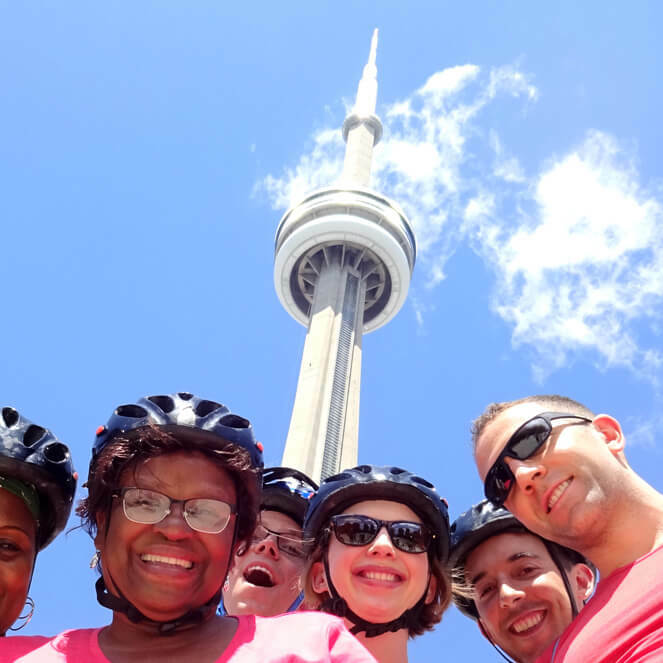 Choose one of the Toronto Bicycle Tours below or go directly to our schedule page. A super intro to Toronto. Experience Downtown in a way that is only possible by bicycle! Tour and see landmarks, attractions, photo opp spots and more. 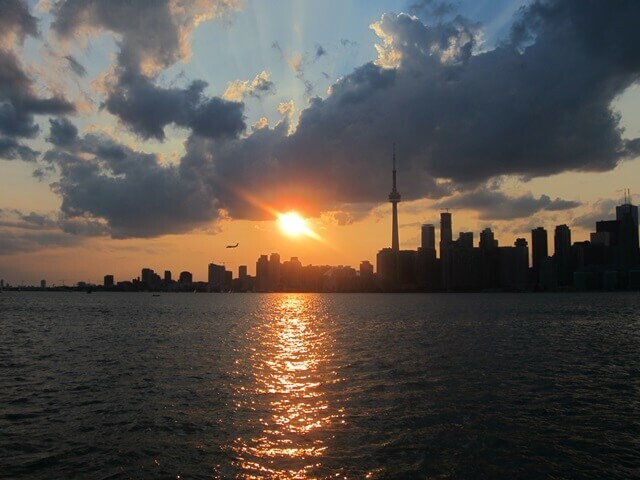 Embark on an early morning or evening tour of the Toronto Islands. Bike past beautiful scenery and take in skyline views! 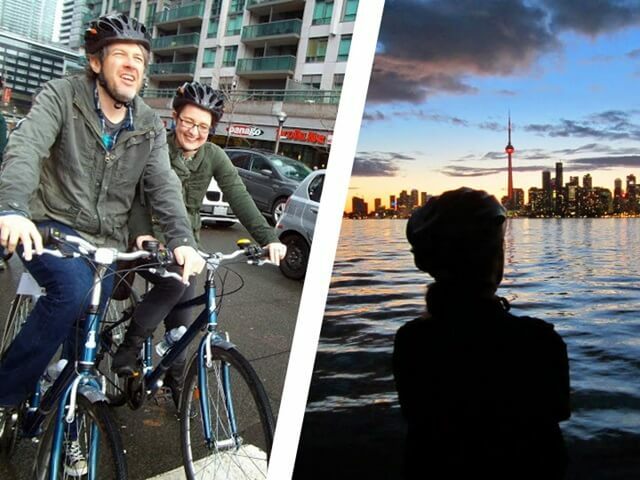 Enjoy a bike tour of downtown Toronto during the day and then cycle in serenity on the Toronto Islands in the evening. Offered starting in May 2019. Tour through over 15 Toronto neighbourhoods. Makes for a wonderful day of biking in our city. Includes a picnic lunch. 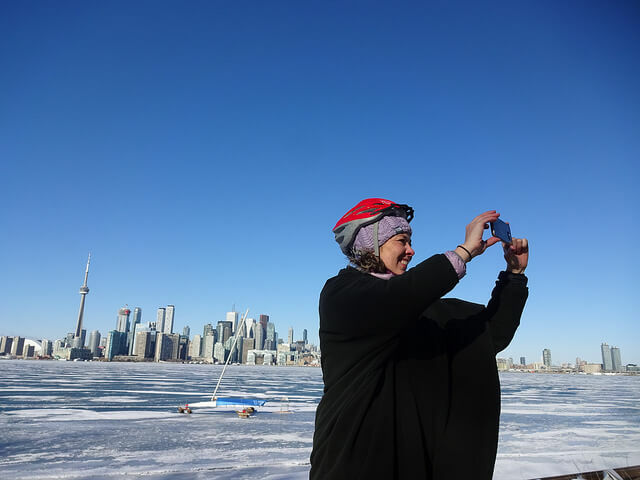 Experience the beauty and serenity of the Toronto Islands in Winter, in a way that very few locals do! 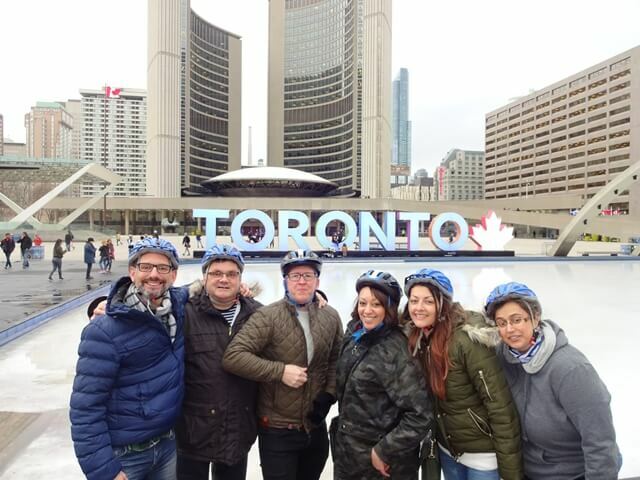 Most winter days conditions are great for heading out on our Heart of Downtown Bike Tour.